All the transformer oil filters can be divided into surface filters and depth filters. The structure of a surface filter includes a thin-layer filter membrane, where contaminants are retained on the surface of filter elements. This type of filters use a variety of fabrics, nets, paper, and materials capable of forming gaps. They retain impurities the size of which exceed the size of the filter material pores or gaps. The structure of depth filters includes a thick-walled filter membrane (25 mm). The surface of fluid inlet is small. The contaminants can be retained not only on the surface but also in the depth of the filter. Thick cardboard, mineral wool, felt, wood flour, cellulose pulp, cotton yarn, plastic, cermet, and other materials are used for depth filters. The advantage of depth filters is the ability to hold contaminating particles of different sizes. This is achieved due to the presence of a plurality of pore channels in a filtering membrane with different pore sizes and sections. The disadvantage of such devices include the highly developed internal surface of the porous structure, which leads to a high adsorption activity – making cleaning oils containing additives not possible. Each depth filter made of a certain material has its own disadvantages. Therefore, when choosing a transformer oil purifier it is advisable to analyze the properties of its filter material. Depending on the multiplicity of use filters can be changeable, and irremovable. Irremovable filters do not require replacement of the filter element – it is restored by : cleaning, washing, calcination, etc. That is their main advantage. Generally these filters are made of more expensive materials and not always completely restore their properties. Changeable filters have a limited period of use, after completion of which they are replaced with new ones. Depending on the subtlety of filtration (the minimum size of retained contaminant particles) all purifiers are divided into coarse filters and fine filters. 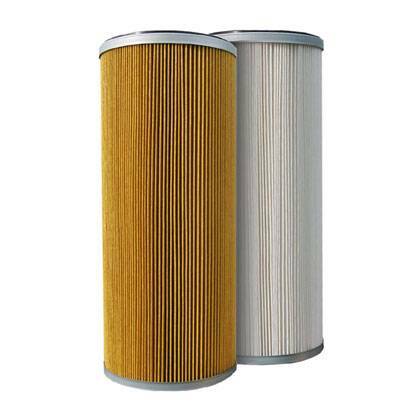 Coarse filters remove the largest impurity particles from oil, thereby facilitating the task of fine filters. The task of the latter is cleaning oil from all hazardous particles of pollution.